In the mountains, it is easy for man to get hungry. That is why our hotel restaurant is here. Every day we prepare a menu of soups, ready-made meals and desserts, which may be enjoyed not only by hotel guests, but by all the visitors to the Orlické Hory Mountains, who will randomly or deliberately happen to be around in Říčky. The daily menu completes the permanent menu À la carte, which is made up of popular Czech dishes and specialties of our chef. 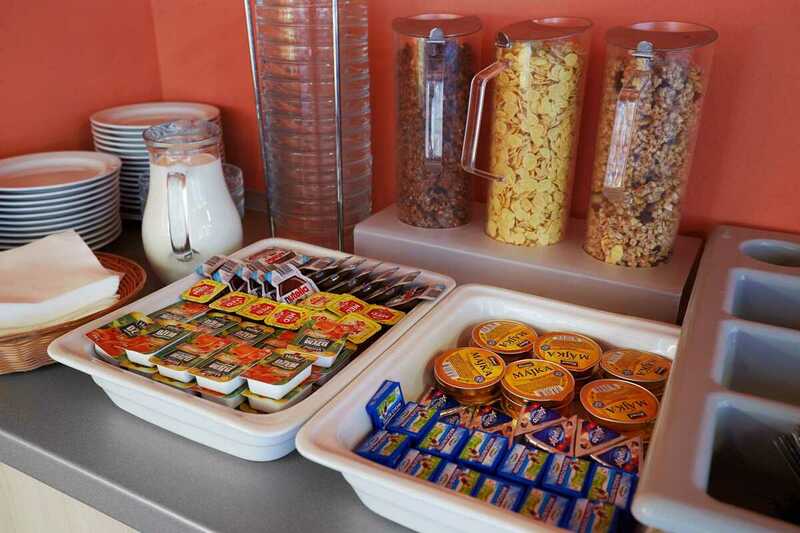 You may choose to stay with just breakfast or even add your dinner. 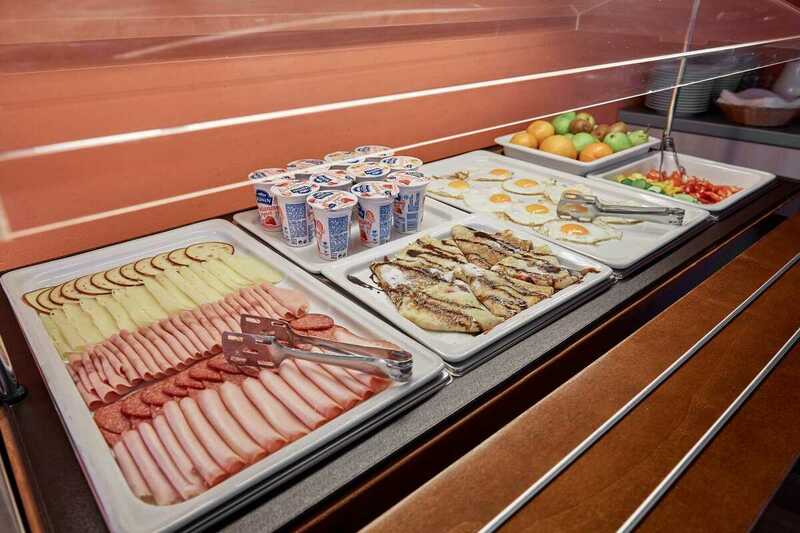 Crispy bread, ham, cheeses, eggs, fruit, yogurt and lots of other goodies may be served from our breakfast buffet between 8 am and 10 am with drinks. After a day in the mountains, a warm dinner consisting of soup and the main course will be waiting for you from 18.00 to 20.00. On the day of arrival, dinner is served without your choice, from the 2nd day you may choose from two main dishes. Do you need to adjust the time of each course? Let us know, and we will definitely make an agreement! 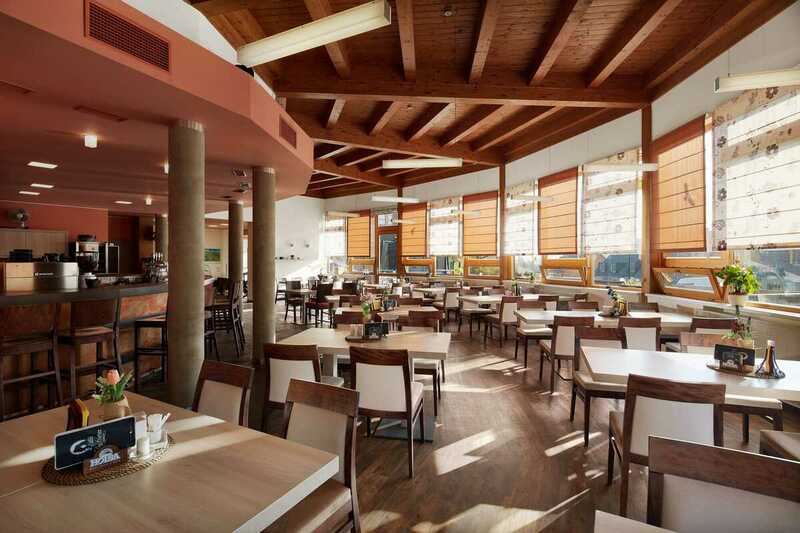 Whether you are only passing through Říčky in the Orlické Hory Mountains or you have a longer stay here, you are always welcome in our restaurant Wellness Hotel Říčky. You may try our daily menu or choose from a permanent menu. In any case, you may enjoy tasty dishes, well-chilled beers and, above all, a pleasant environment. We cook for you every day until 21:00 and we recommend that you book your table for a certain time so that we may seat you when you arrive. 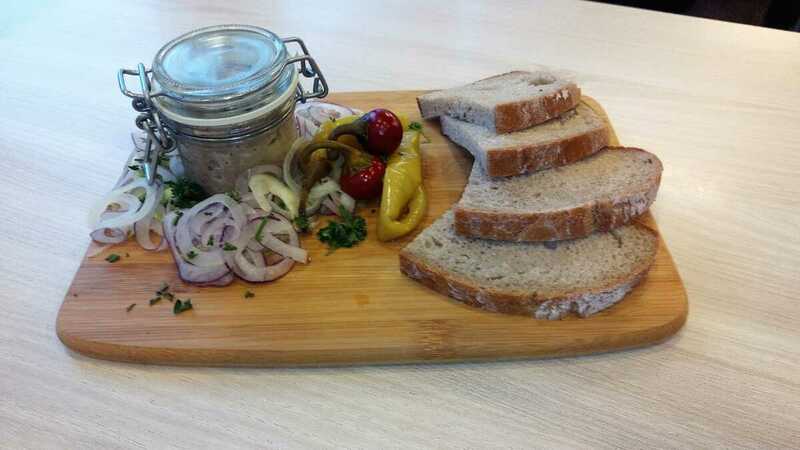 We are professionals, so your special dietary requirements will not catch us unprepared. Vegetarians, vegans, gluten-free eaters, diabetics, we will manage them all! Just allow us some time in advance to prepare ourselves. If you are interested in booking a restaurant table, do not hesitate to contact us via the inquiry form or on the phone number+420 721 423 520.